"This country cannot be the country we want it to be if its story is told by only one group of citizens. Our goal is to give all Americans front-door access to the truth." Robert C. Maynard, a charismatic leader who changed the face of American journalism, built a four decade career on the cornerstones of editorial integrity, community involvement, improved education and the importance of the family. He was the co-founder of the Institute for Journalism Education, a nonprofit corporation dedicated to expanding opportunities for minority journalists at the nation's newspapers. In the past 20 years, it has trained hundreds of America's journalists of color, more than any other organization. In December 1993, following Maynard's death, the Institute was renamed and is now called the Robert C. Maynard Institute for Journalism Education. 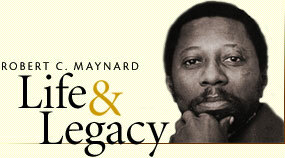 In the 1980s, Maynard began a twice-weekly syndicated newspaper column, in which he transformed national and international issues into dinner table discussions of right and wrong. His views were widely broadcast through regular appearances on "This Week With David Brinkley" and the "MacNeil Lehrer Report." He was a board member of the industry's most prestigious organizations, including the Pulitzer Prize, The Associated Press, and the American Society of Newspaper Editors. 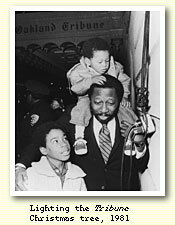 It was his lobbying in the 1970s that nudged the ASNE to adopt the goal of diversifying America's newsrooms by the year 2000. "This country cannot be the country we want it to be if its story is told by only one group of citizens. Our goal is to give all Americans front door access to the truth," he said in May of 1993 during his last public address, to college students at The Freedom Forum, in Arlington, Va. 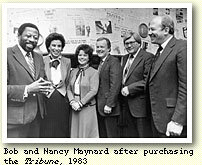 In 1979, Maynard took over as editor of the Oakland Tribune, which just a few years earlier had been labeled "arguably the second worst newspaper in the United States." He bought the paper in 1983, taking the title of editor and president in the first management-leveraged buyout in U.S. newspaper history. By doing so, he became the first African American to own a major metropolitan newspaper. After a decade of ownership by Bob and Nancy Maynard, the newspaper had won hundreds of awards for editorial excellence. One media critic described the change: "The Tribune covers the Oakland area with far more insight than do its wealthier competitors in nearby San Francisco and the suburbs, and the paper has become a kind of journalistic farm team for larger papers such as the Los Angeles Times. The Trib won a Pulitzer Prize in 1990 for its coverage of the Loma Prieta earthquake, and its coverage of the Oakland Hills fire was nothing short of superb." It was the earthquake and fire, combined with the national recession and a troubled city economy, that finally forced the Maynards to sell the Tribune in 1992. When the paper was sold, its most valuable assets were its loyal readers and advertisers, its scrappy editorial product and the most diverse newsroom of any major metropolitan newspaper in America. "The Maynards devoted a decade of their lives to saving the newspaper when no one else would. 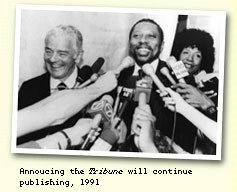 They brought journalistic excellence and diversity to the newspaper unmatched in its previous century of publication," wrote competitor Dean Singleton in December 1992 after the MediaNews group purchased the Tribune. "Bob Maynard's journalistic talents and dedication are of course well known. But he does not get the plaudits he deserves for business acumen. It is doubtful that the Oakland Tribune would be alive today if not for Bob's keen ability to maneuver through economic mine fields day after day, year after year." 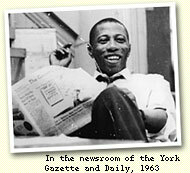 Maynard, the son of an immigrant from Barbados who founded a New York moving company, dropped out of a Brooklyn high school at the age of 16 to become a writer in Greenwich Village in the 1950s. He had a photographic memory, and mastered myriad subjects through reading and inquiry. Ultimately, he held eight honorary doctorates. "My credentials," he told a sister on the day he decided to quit school, "will be my work." 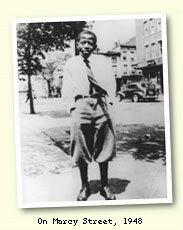 His early role models, writers Langston Hughes and Ernest Hemingway, later gave way to his hero, Dr. Martin Luther King. But he did not want people to follow his path away from formal education. "I say to young people today that they must stay in school," he wrote in a column. "Autodidacts, self teachers, are of another age, I tell them. School today is imperative. All the same, my adventures suited me and served me well. My sisters even agree, grudgingly." 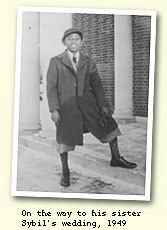 Maynard was most proud of the Elijah Parish Lovejoy award he received from Colby College in Maine. The national honor is named for the owner of an abolitionist newspaper in Alton, Ill., who was killed by a pro-slavery mob in 1837. 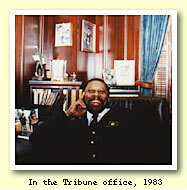 "You have rallied employees in the face of uncertainty and citizens in the aftermath of disaster, fighting for the heart and soul of your adopted community the way Elijah Parish Lovejoy once did in his, with faith, nerve and a printing press," Colby president William R. Cotter said as he presented the award in November 1991. Maynard's formula for community involvement was simple: Just do it. 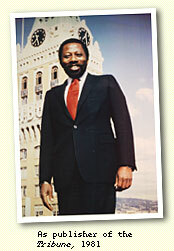 He taught at local high schools, attended community forums, organized relief for babies of cocaine-addicted mothers and for victims of the Loma Prieta earthquake and the East Bay hills firestorm, and helped establish youth forums in the city's churches in the aftermath of the Rodney King verdict. His newspaper crusaded for improved schools, trauma care centers, economic development, and better communication across cultural lines. A newspaper, he wrote in 1979, in his first Letter from the Editor column, should be "an instrument of community understanding." His journalism career began in 1961 at a daily newspaper in York, Pennsylvania. In 1965, he received a Nieman fellowship to Harvard University. 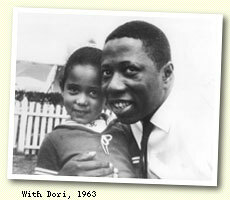 In 1992, his daughter, journalist Dori J. Maynard, became the first woman to follow her father to Harvard as a Nieman scholar. After Harvard, Bob Maynard covered civil rights and urban unrest as a national correspondent for The Washington Post. He later became the newspaper's ombudsman, and later still, joined the staff of the editorial page. It was in Washington, D.C., that he met his bride-to-be, then New York Times reporter Nancy Hicks. They were married in 1975. Maynard was first diagnosed with prostate cancer in 1988. It went into remission twice, but returned a third time in 1992 and was a factor in the family's decision to sell the newspaper. Even through his illness, Maynard was the quintessential optimist. "The country's greatest achievements came about because somebody believed in something, whether it was in a steam engine, an airplane or a space shuttle,'' he once wrote. "Only when we lose hope in great possibilities are we really doomed. Reversals and tough times inspire some people to work harder for what they believe in."